I'm back with yet another post today, one that not only will you appreciate this season but probably all year round. 1. Let night time you be kind to morning time you. Lay out your skincare and makeup routine in the order you use the products in. Rather than diving into the bottom of an overstuffed makeup bag looking for your best peach toned blush, set it all out ready. 2. Ditto for your outfit. Give yourself more time by tackling this the night before. 3. Let dry shampoo into your life once a week. Plan the day you want to use it and use that day to spend a few more moments to relax. 4. Multi-task. As well as taking care of yourself, you probably have to take care of a house too. When you pop on your deep conditioner, use those 5-10 minutes to scrub down the bathroom, if you’ve grabbed yourself the best teeth whitening kit then use those minutes to sort the laundry or catch up on the latest fashion magazine. Of course, you can always choose to do the following instead - ‘mask & relax’ it’s still multitasking if there is more than one thing on the list. 5. If you have 2-5 minutes at the end of the day and you just want to crawl into bed, then, by all means, do so. But take cotton pads and micellar water with you, or some gentle, alcohol-free makeup remover wipes. It would, of course, be better if you were to make time to remove your makeup, use a toner, moisturize and then hit the sack – but sometimes life gets in the way. Try and keep your skin as a priority – in years to come you will thank yourself. 6. Back to multi-tasking. Think of shower time as the best time. Before you hop in the shower put on your cream cleanser, the steam opens up your pores giving you a really deep clean. While your face is reaping the steamy rewards, it’s time to exfoliate and clean all of the essentials. You’ll hop out of the shower with a fresh face, no dead skill cells and smelling glorious – in around 5 minutes. 7. Have some go-to hairstyles pinned somewhere you can see them. We can really easy fall into the trap of clean hair = down, dirty hair = bun. There is a whole world of looks in between and with thanks to the dry shampoo, you can spritz in a little texture and create a few different looks. 8. Emergency go-bag. Invest in miniature versions of the products that you use the most. Swap your foundation for a high-end CC or BB cream, and have everything else ready to go. So, if you miss your alarm or need a touch up during the day, you have a lightweight travel kit at your disposal. 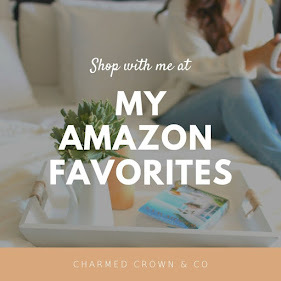 I'm sharing some of my ideal favorites throughout this post. Hopefully you find these tips helpful, as we all love a less hectic routine in the Summer time. I know I do personally and less is always preferable for me when heat is on the rise. Don't forget that staying hydrated plays the biggest role of all when it comes to beauty. Drink plenty of fluids, preferably water. This post contains affiliate links. I may receive a small commission for any sales made through them, but at no cost to you and helps maintain the running of this site.